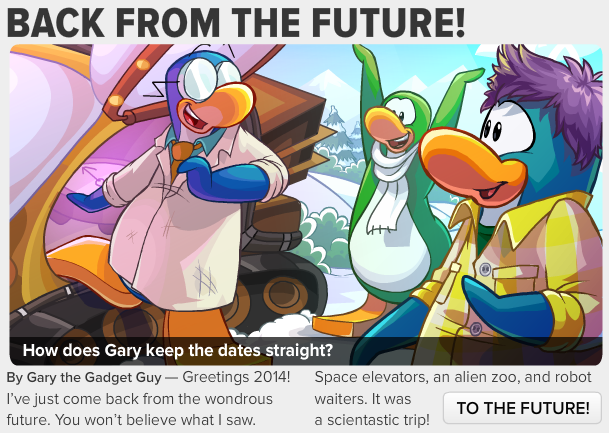 Gary is taking us into the future! I wonder what it's going to be like. 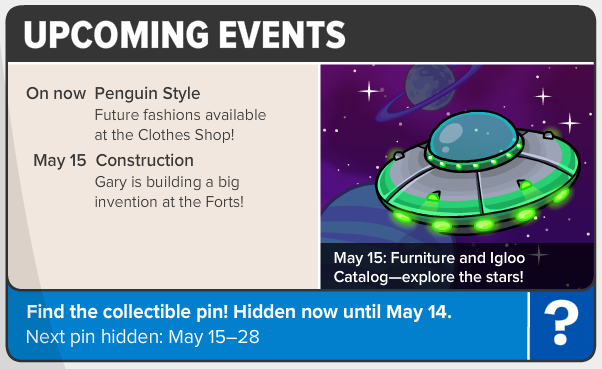 Maybe there's a robot puffle. A robot puffle would be SOOO cool! Try and find as many hints for the Future Party as you can. Remember how I said to keep a good eye out for hints about the Future Party? Well, I already found one! "Space elevators, an alien zoo, and robot waiters." If you click 'TO THE FUTURE' then you'll be able to read more. Apparently, there's a robot version of Gary named "Gary 3000" in the future. 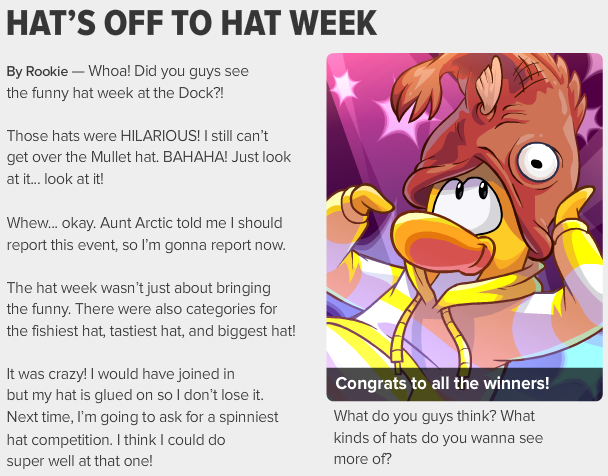 Next, Rookie talks about the Funny Hat Week that just passed a week ago. I sure hope you collected all of those free hats last week!